I must say I was thoroughly impressed by its overall picture quality for a display at such an affordable price. I’ll talk more on image quality later. The build quality of this year’s E-Series is bit more robust than last year’s design. The most notable improvement is in the TV’s stand. The E500i-B1 had a pedestal type stand that didn’t give the TV enough stability in my opinion, and left the display feeling a bit on the wobbly side. 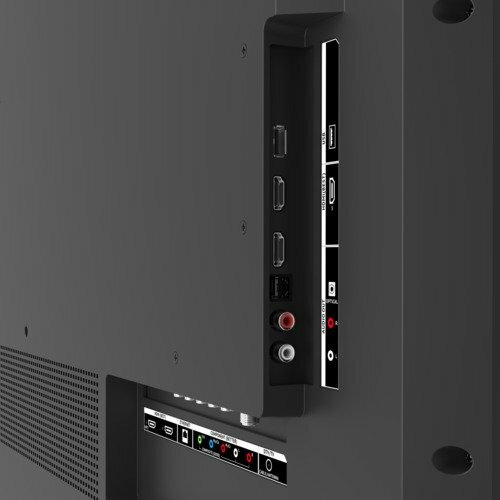 This year’s design features two angle or arch shaped feet placed at the ends of the display panel which gives the TV much better stability and is much more attractive than the previous design. However, since the feet aren’t adjustable, you should consider the size of the cabinet surface you will place the TV on and be sure it’s large enough to accommodate this TV’s stand width. The displays bezel is very thin and measures only 0.47 inches, while the panel depth is just under 2-1/2″ measuring 2.4 inches thick. The screen’s semi-matte finish is illuminated by 12 zones of full-array LED’s for the sets backlighting and contains local dimming functionality. This design allows for better contrast and black level reproduction when compared to most edge-lit LED backlighting designs. The E50-C1’s Vizio Internet Apps Plus smart TV platform is very simplified and intuitive and provides a wide variety of apps for movies, TV shows, videos, news, sports, social media and much more. The supplied remote control is basic in design with a user friendly and adequately spaced uncluttered button layout. Wi-Fi connectivity is available for connecting to your homes wireless network. However, on the flip side, this set does not contain a web browser which could be a deal breaker for some. Note: To get the best performance from this HDTV, I suggest you use the “Calibrated” or “Calibrated Dark” picture mode. As I stated earlier in the review, I was impressed with the E50-C1’s picture quality. This set produced a very bright image that would serve well in a brightly-lit viewing environment. Contrast range was very good on this display allowing for excellent peak white highlights and very good black level performance with nicely rendered shadow detail. In general, the color palette provided an accurate and tonally balanced color spectrum, however, at times, colors did look slightly lean and weren’t as rich and vibrant as I’m used to seeing on many of the better performing Sony, Samsung and LG models. This set also delivered a sharp and detailed picture image that wasn’t harsh or edgy in appearance. At times, there were some issues with screen uniformity, namely on images that contained white backgrounds, where the sides and corners of the screen appeared a bit darker. This set has good motion blur control, as I did not experience any motion artifacts on the content I viewed. The biggest drawback with the E50-C1is its side angle viewing performance… image quality starts to degrade noticeably at 20 to 30 degree angles invoking picture dimming and color saturation loss. 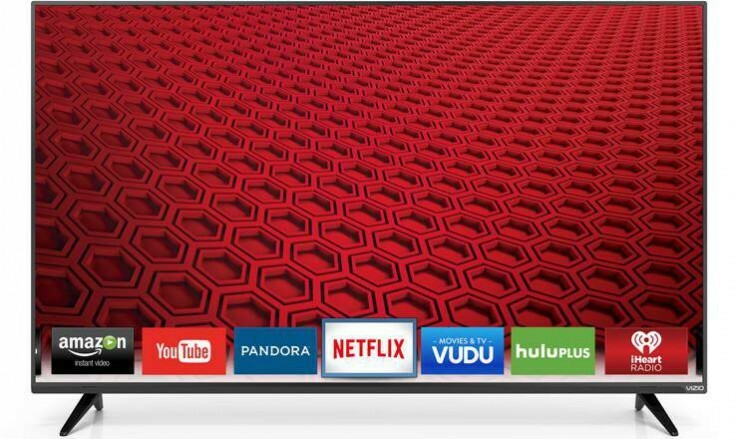 Vizio’s E50-C1 is ideal for anyone looking for a low cost Full HD 1080p display with respectable and overall solid performance and provides a few nice features as icing on the cake. And IMO, I believe prospective buyers will find the E50-C1 a tough act to follow in the value vs. performance category.